MANA’s Epsom Candidate Pat O’Dea, reminds the voters of Epsom who they are really voting for. Mana has an Epsom candidate? Epsom’s all the rage these days. All the parties are standing there. Even Penny Bright put her name in. Because they can. There isn’t a hope in hell that Pat O’Dea will take the seat, but so what. Good on him for having a go. 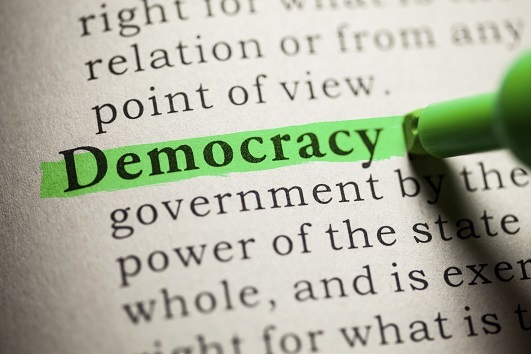 I would suggest they are being far more transparent than many other parties; they know they have not got a chance of winning but are prepared to front. Spreading the brand and information about Mana Movement, Pat is well known in certain working class circles. Plus ACT and Don’s works can always do with another spanner. Another spanner and an airing and a clearing as in clearing off. NEWSFLASH: Frightening photographs of the Grim Reaper have been sighted in Epsom. John Banks is currently in hiding from said Grim Reaper! Look at the size of Pat’s hands. Huge! All those portraits in one place like that must make Epsom look like the set of a Southpark episode. 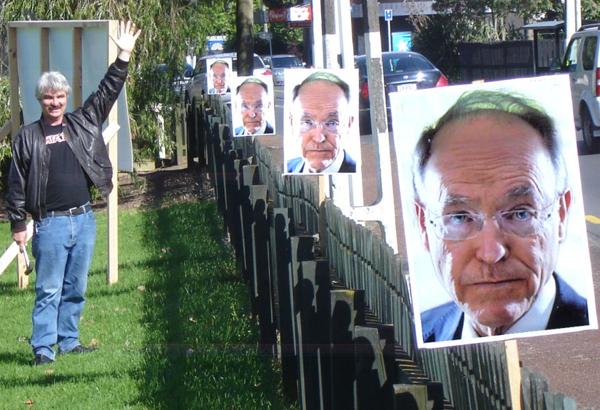 Why would a National candidate in Epsom be going around removing billboards with his name and face on them? Does he not want to be elected or something? Where did you find that wee gem? Someone has been removing the signs so I lay in waiting to see who it was and took a lot of photos. He’s perfectly entitled to remove his own signs, but I just wondered why a candidate would refuse the help of a loyal National supporter who just wants to support the person who he is going to vote for. That’s almost identical to the sign that he is removing – the sign that is exactly the same as his business cards that he was handing out at the election meeting in Remuera last week. If Goldsmith’s profile gets any lower, he’ll be under the ground!! Hmmmm possibly the only way he’s not going to become Epsom’s electorate MP after this bruhaha? Taking the charitable view they could be not properly authorised, on property that they aren’t supposed to be on or defaced.